Badan Warisan Malaysia (1990). ICOMOS Charter for the Conservation of Historic Towns and Urban Areas. 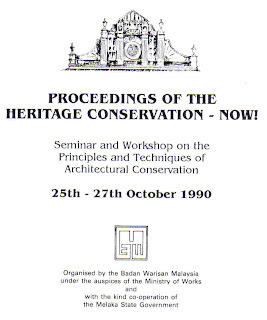 Proceedings of the Heritage Conserrvation - Now!, Seminar and Workshop on the Principles and Techniques of Architectural Conservation, 25-27 October 1990, Melaka. Ms. 8-10.